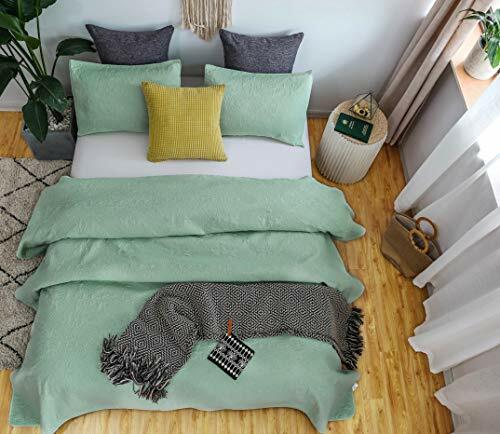 Color:Mint Green | Size:Queen + 2 Shams With the unique blend of innovation and elegance, this quilt set is designed to offer you a luxurious and versatile appeal. 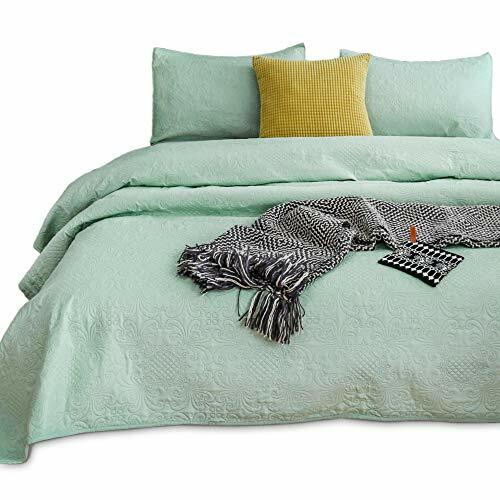 Made with microfiber, the quilt comes with desirable features like breathability and extra soft touch. 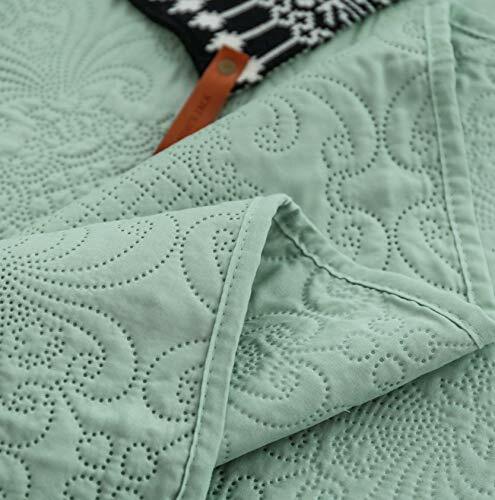 This coverlet comes in 8 stunning colors & 2 designs to suit every season and style. 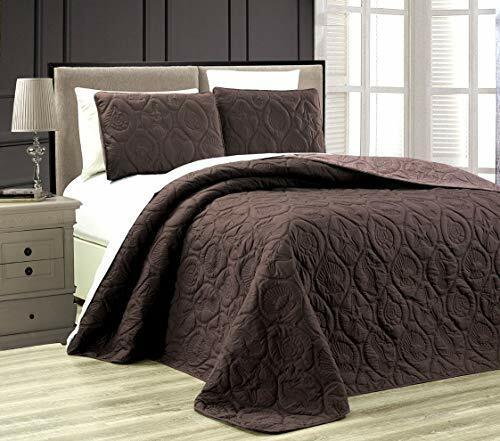 The floral pattern and royal essence of the coverlet gives a distinct look to the collection, while the contemporary star pattern showcases the classic & improvised stitching to create the look of an upgraded and elegant bedroom. 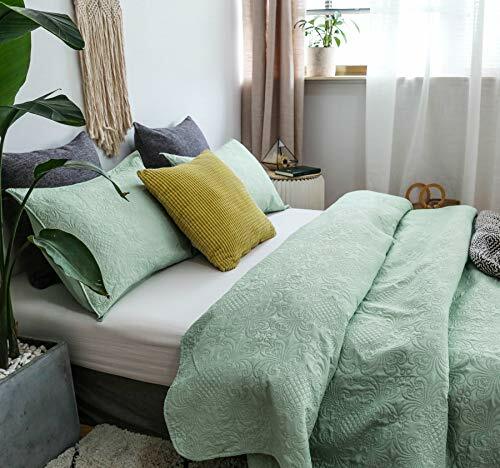 Pre-washed with a splendid accent, this beautiful bedspread can be a perfect standalone piece, or you can also pair it with throws or comforters to create a flawless relaxing space. 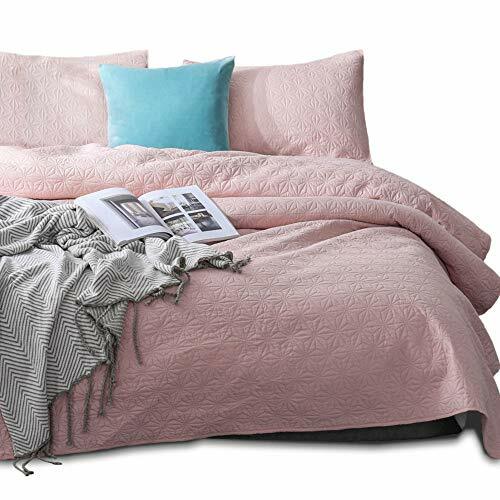 The unique construction also prevents the quilt from shrinking. It would also make an ideal gift for any occasion. 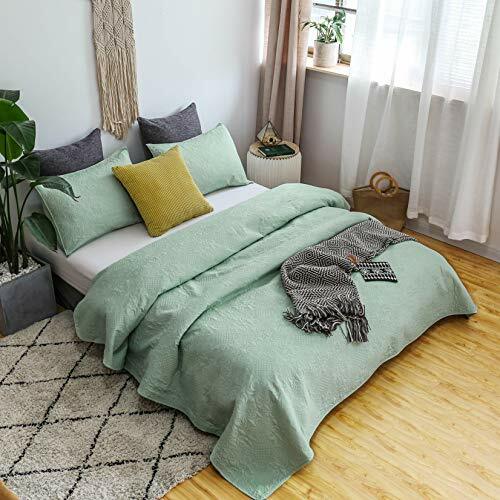 The Quilt set comes in 3 sizes: Single/Twin (68x88"+20x26"x1); Full/Queen (88x90"+20x26"x2); King (104x90"+20x36"x2). 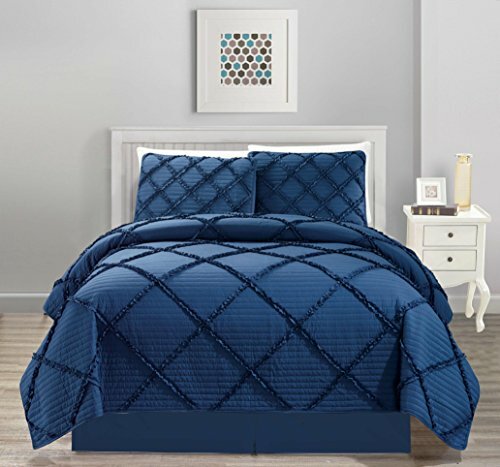 Single/Twin Quilt +1 Standard Sham; Full/Queen Quilt + 2 Standard Shams; KING Quilt + King Size 2 Shams. Available in 2 Designs: Imperial Floral Pattern Design & Contemporary Star Pattern Design. 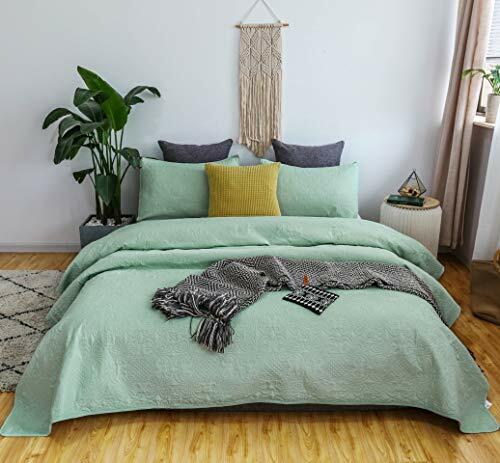 Available in 8 Colors: Creme Brulee Hue (Camel); Deep Celadon (Mint Green); Natural Bluestone (Turquoise); Blush Pink (Pink); Pumice Stone Grey (Taupe Grey); Flint Grey (Grey); Beach Sand (Sand Beige); Coastal Blue (Aqua Green).